Providing you the best range of bore type router cutter, shank type router cutter and brazed carbide router cutter with effective & timely delivery. We are one step ahead from our competitors by providing an impeccable range of Bore Type Router Cutter that are of global standards. The provided products are accurately designed and manufactured by our dedicated professionals using the optimum quality raw material. Our products are widely known and demanded for their reliability, longer functional life, abrasion resistance, durability and rock bottom prices. 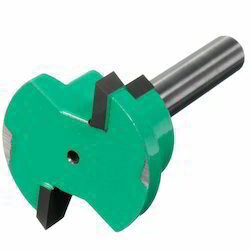 We are offering our clients high speed Shank Type Router Cutter. Our product is ideal for cutting soft timber, though they are susceptible to damage due to overheating when heavily used. Further, our product can be re-sharpened with honing on wet stone, but this is a delicate job can affect its balance. Our routers are of high quality which are easy to use and store. 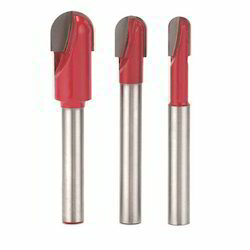 Counted as one of the prominent organizations, we are engaged in providing a wide range of superior quality Brazed Carbide Router Cutter. Following industry defined guidelines, we manufacture the entire range by utilizing contemporary machines, modernize technology and prime grade raw material. In order to ensure quality, the entire range is rigorously tested upon a series of parameters. In tune with clients' diverse requirements, we offer the entire range of cutter in a wide range of specifications.